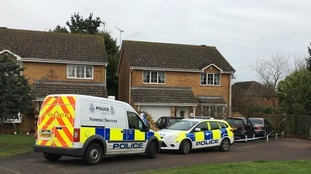 Police in Suffolk have arrested a man on suspicion of murder following the death of a woman in Stowmarket. Police were called to an address in The Brickfields at 10.20pm on Saturday 30 December where a woman, believed to be aged in her 60s, was discovered unresponsive. Paramedics were called to the scene but the woman was declared deceased at the scene. Suffolk police say the death is being treated as suspicious and cordon is in place at the property as officers carry out an investigation.